Conventional management education and training have become increasingly more sophisticated. One area that remains to be fully explored by the academic and managerial communities, however, is office politics. Though largely neglected as an academic discipline, it is usually an essential component of job success, although competence and industriousness are equally important. As Marilyn Kennedy states in her book, Office Politics, Seizing Power, Wielding Clout, 75% of all firings in the business world are political executions. In addition to its importance to the employee, office politics also can play a significant role in the success or failure of an organization. It consists of all of the interactions among employees in an organization. The fact that managers are frequently naive in recognizing and handling the political dynamics that exist among the staff, impairs their ability to manage successfully. Office politics is important to study because one must understand it in order to effectively handle the political games and power struggles that can interfere with employees careers and productivity. 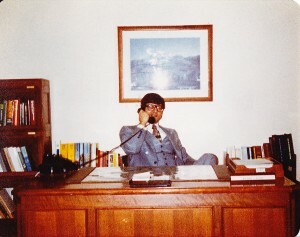 In the July 10, 1984, Washington Post “Federal Diary,” Mike Causey reported that of 800 senior federal personnel officers responding to a Merit Systems Protection Board survey, almost one in every five said that they had been improperly pressured by managers to save or fire employees during the 1981 reduction-in-force. Good management and supervision include an understanding of office politics and power. Because the phrase “office politics” has a bad reputation, even its beneficial and ethical aspects are not usually the subject of serious attention. Managers, supervisors and employees may not advance in their careers sufficiently because of their disdain for office politics and its prudent use. If a manager is unaware of and not in control of the politics in his/her office, s/he will not be able to manage his/her employees and programs well. On the other hand, excessive involvement in office politics can drain the energy, time, motivation and productivity that should otherwise go into the job. Dr. Andrew Dubrin, in his book, Winning at Office Politics, cites five levels of involvement in office politics, from the most political to the most naive. They are: Machiavellian, Office Politician, Survivalist, Straight Arrow and Innocent Lamb. For those who are interested, Dr. Dubrin’s book contains a 100-question test which will show how political you are. I classify office politics into three categories: clean, dirty and situational. “Clean” (ethical) office politics comprises those things one can do to advance his or her career and get the job done at no one’s expense and without being unethical or immoral. Examples of clean office politics include loyalty to one’s supervisor and working in one’s own interest. “Dirty” office politics is immoral and/or unethical and is something which is done to the detriment of others. Examples of dirty office politics include backstabbing and stealing credit for another’s work. “Situational” office politics, as its name implies, is ethical or not depending upon the situation in which it is used. 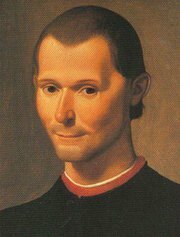 A good example of situational ethical office politics is the “fait accompli” (accomplished fact). This tactic simply involves taking an action even though it will not be welcomed by the boss. Later, after reaping the benefits of the action, the employee pleads innocence if the boss questions him/her on it. The employee tells the boss that s/he didn’t now that it would meet with disapproval. With some supervisors this tactic is sometimes necessary though not without risk. Another tactic is “going over the supervisor’s head.” If the tactic is used on a straightforward democratic supervisor, it is usually unethical; therefore it is considered situational office politics. Another situational ethical tactic is “withholding information.” White collar workers are knowledge workers and information is their stock-in-trade. There are times, however, when it is ethical to withhold information, such as when a supervisor will take all of the credit for the information supplied and not give the employee proper credit. No matter how high a level manager or supervisor you are, there is always someone you must answer to. Therefore, in your role as a subordinate, the keystone of office politics is your relationship with your boss. If you keep your relationship sincere and unmanipulative, you are using clean office politics. Your aim is to help make your boss look good. There are many clean tactics which you can use to improve your relations with your boss. The simplest is showing your boss loyalty. Loyalty is reporting only to the boss and not going behind his/her back to others; following and respecting the boss’ direction without grumbling or second guessing; disagreeing with the boss only in private; making efforts to instill the boss’ ideas, plans and actions in other employees; not disclosing secrets about the boss; and standing up for the boss when s/he is the subject of criticism. While teaching an adult education course in “clean” office politics and power in Washington, DC over a six-year period, I’ve found that loyalty to the supervisor is the most difficult for people to understand, let alone accept and use. Students frequently volunteered opinions, such as “my boss is a fool, I know much more than s/he,” and “I don’t know how that idiot ever got his/her job.” Perhaps much of what I hear about supervisors and managers is true; maybe many of them are incompetent in managing work and people. Whether it is true or not is irrelevant here. The boss has legitimate power; s/he writes your performance appraisals, has the responsibility for your work, and can either praise or discredit you to his or her superiors. If you and your boss don’t like, or at least respect each other, and there’s nothing on the horizon which may change the situation, you should consider changing jobs. Incidentally, showing loyalty to the organization you work for also makes good political sense, although personal and organizational loyalty may not be compatible at times. The respect and cooperation of your peers is another essential component of clean office politics and obtaining power ethically. A few tactics should help you achieve this sometimes very elusive goal: help peers when they need it; be trustworthy and friendly; back them up; don’t complain about all the work you have to do; and avoid pretentions. Incidentally, most dirty office politics occurs among peers, so the above is especially important if you want to minimize the risk of fostering their envy, and the malice, slander and sabotage that it can foster. Envious people try to downgrade the person and/or the person’s accomplishments of which they are jealous. Finally, relations with subordinates have a role in office politics. Giving recognition for the good work of a subordinate is an outlet for genuine appreciation. Treating subordinates with respect because they are people first and employees second is both humanistic and, coincidentally, part of being a good manager. Finally, a supervisor should not take advantage of subordinates with his/her power. Staff promoting themselves by talking with you about their progress and keeping you informed of what they’re doing. Staff originating and initiating new ideas, putting them in writing and giving them to you. Staff getting to know the people in the organization by attending office parties, using the cafeteria at work and remembering names. Staff developing a professional attitude by avoiding excessive emotionalism, dressing for success, not engaging in negative gossip about people and not being a clock watcher. Staff speaking up at meetings because that is where they are sometimes seen by people who do not usually see them. Staff asking questions because this is necessary to obtain the information they need to continually improve their job performance, as well as showing their concern for the job. Staff doing things outside the confines of the job. This allows them to meet people throughout the organization. Staff talking about their progress so you know that they have definite goals and want to get ahead. Staff developing a support system through involvement in professional organizations. This provides them with a support system separate from the job and can be important if they run into serious political difficulty on the job. Staff developing a specialty so they can stand out from the crowd and get the recognition they need to advance their careers. Up to this point we have dealt only with clean office politics. Let’s look at the dirty side so that you can more effectively protect yourself and your staff from it. To consider dirty office politics rationally, one must endeavor to be completely objective about oneself. Some people are absolutely convinced that someone is out to get them. Because people, on occasion, are really out to discredit someone else for various reasons, one needs to make a clear distinction between objective reality and paranoid thinking. Paranoid thinking exists when the amount of fear, anxiety and concern is not justified by real danger. To illustrate, it might be considered paranoid to be excessively fearful of crime in a predominantly crime-free community, whereas, to be concerned about being mugged while walking along some sections of the formerly infamous Fourteenth Street corridor in Washington, D.C., at one o’clock in the morning is prudent, not paranoid, and should result in appropriate action. To combat paranoid thinking, if you believe someone is out to get you, ask yourself “how do I know this to be true-;” “what am I observing that leads me to that opinion;” and “is this sufficient to warrant my belief that someone is out to get me?” It often takes considerable thought to sort out all the relevant information and form a rational opinion as to whether or not you’re someone’s target. On the other hand, though not bad in terms of mental health, naivete in office politics can be hazardous to your career. If you think that everyone’s out to help you, give yourself a naive-zero on the accuracy of perceptions scale below. Likewise, if you see a coworker’s power and influence rising as yours is descending and you do not get at least a little suspicious, score yourself once again near the naive-zero on the scale. 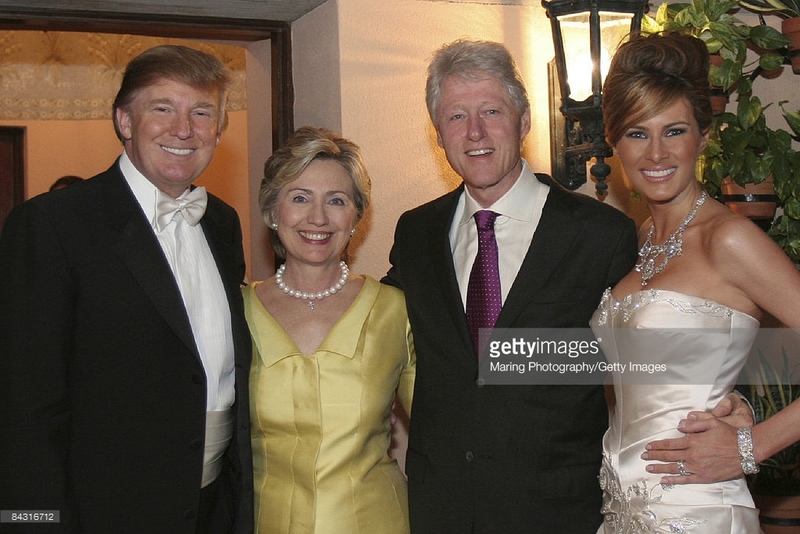 Another indicator that you may be an actual or potential victim of dirty office politics is when former enemies in the office suddenly become friends; they may have found a common enemy — you. The graph below illustrates the distinction between being paranoid and being naive. It is intentionally simplistic to illustrate the point. Slander differs from gossip in that gossip is not as malicious, persistent and purposeful as is slander. One defense against slander and backstabbing is not to allow the slander to damage your self-image. Another defense is to launch a small counterattack. by innocently asking associates on occasion why the slanderer is so unhappy. By knowing that someone is slandering you, you can more effectively combat it. The following are options you have to-combat slander: confrontation; exposure; retaliation; rewarding the guilty party to make him or her feel guilty, suspicious or confused; and eliminating the cause. Often people readily accept stories on the grapevine without verification. Most of the time these stories contain partial truths, misunderstandings, distortions or outright misstatement of fact. Clever slanderers, however, base their dirty work on real incidents; they simply define or explain the incidents in an intentionally distorted manner so as to make someone look stupid or incompetent. They also get to the manager first with their distorted version of an incident so as to “poison the wells” for any other versions that may follow. Since supervisors and managers must rely, in large part, on information from subordinates, they therefore have to be especially wary of the derogatory comments they hear about employees. Since the “reputation” method is commonly used by managers to informally assess staff, even if a diligent manager follows up on rumors and makes first-hand observations of an employee, selective perception may bias the observation, since s/he is starting out with preconceived ideas that were furnished when one subordinate gave the “lowdown” on another. To counter the tendency towards selective perception, a manager must suspend judgement until s/he has sufficient data to form a defensible opinion. Personally, I prefer confronting an employee and thereby allowing him or her opportunity to explain. A devious tactic, less onerous than backstabbing and stealing credit, is using flattery (not genuine praise) to manipulate people into doing what you want them to do. Constantly raising questions concerning a peer’s judgement and providing misinformation (with some truth thrown in for plausibility) is another tactic practiced by clever unethical office politicians. Of the three types of office politics, “situational” is the most difficult to use wisely. This is because most people have an image of themselves as being good, honest, righteous, ad infinitum, and they therefore rationalize many of their actions as being warranted by the situation or someone else’s actions. Many atrocities have been explained and “justified” by situations. The most recent examples are acts of terrorisrn which killed or injured innocent people. In addition to the fait accompli mentioned earlier in this article, “avoiding losers” is a situational tactic. If you lunch and socialize with other managers, supervisors or staff with bad reputations, it is likely that your reputation may be tarnished. If the person with a bad reputation is a friend, avoiding that individual solely because of his or her reputation is a situational tactic that only you can judge as ethical or not. Another situational tactic is the “red herring” which is useful for managers because of the desirability of handling tricky personnel problems without needlessly humiliating people. For example, a manager may not want to tell, for some legitimate reason, an employee the full story of why s/he is -being fired, but use a “red herring,” or explanation that diverts attention from the blunt truth. Keep your staff busy. Employees engaged in meaningful work and achieving worthwhile goals don’t have as much time and energy for office politics, clean or dirty. Keep your staff well informed. Communication is an important part of the manager’s job and lack of it will foster conjecture, which is usually much worse than reality. Give your employees, to the extent practicable, separate responsibilities, to minimize jealousy and cut-throat competition. Sometimes overlapping responsibilities are necessary, and even desirable, but if an organization can be structured without it, there will be more peace and harmony. Be non-judgemental in dealing with your staff. If you want them to listen to you, and take your advice when you really need them to, they must trust you. That means not only respecting their confidences, but also empathetically listening to their complaints and problems. When interviewing job applicants for a vacancy in your office, look for compatibility with your other staff. An applicant’s resume should tell you most of what you need to know about his or her knowledges, skills and abilities to do the job. The interview should help you tell how friendly, cooperative, and loyal the applicant is. Build team spirit to encourage mutual support and understanding. Meetings can be a useful tool in accomplishing this, but the attitude of the manager is essential. Give your employees an opportunity to read about office politics. Often, people engage in unethical behavior because they cannot distinguish between what’s ethical and what’s not. This article has been written to remove that ambiguity. Power and office politics go hand-in-hand. The more power one has, the more effective his or her office politics can be. Power is defined here as the ability to marshal the resources to get the job done. There are basically six sources of power: legitimate, reward, coercive, referent, expertise and charismatic. Legitimate power is the official power you have as a manager in an organization; you have reward power if you can promote; you have coercive power if you can fire. Associate with or have a good rapport with one or more of the leaders with power in your organization and you have referent power. If you’re an expert at your job, you have expertise power. President Kennedy and Dr. Martin Luther King are good examples of people who had charismatic power. A manager automatically has legitimate, reward and coercive power. If you’re a good manager, you probably have some charismatic power. How does one obtain more power? You can develop referent power by becoming friendly with other managers. Many people who have very little legitimate power have enormous referent power. Secretaries are good examples of this phenomenon. Become excellent at your job and you’ll gain expertise power. Develop your verbal and non-verbal skills, dress for success, and develop desirable leadership skills through education, training, reading and experience, and you’ll be on your way to developing charismatic power. Office politics is a fact of organizational life. This article has discussed clean, dirty and situationally-ethical forms of it. The most useful political tactic, however, is one called “honest and straightforward.” It is not only the easiest to use, it does not cause ‘the anxiety that many of the other tactics do. Work would be far more pleasant if all interactions were of this type, however an awareness of the other types is essential. If you are like most managers, supervisors and employees, you not only deplore office politics, you are absolutely convinced that you do not engage in any form of it, be it conscious, unconscious, clean, dirty or situationally-ethical. I hope that this article has accomplished three purposes: 1)made you more aware of office politics and therefore better able to handle it; 2)demonstrated that some forms of office politics can be ethical; and 3)adequately described dirty office politics so that there is more certainty as to what is ethical and what is not. An awareness of all types of office politics can be useful to you in maintaining a pleasant office environment and in succeeding in an ever-more competitive world. The 2018 mid-term elections on November 6, 2018, resulted in Democrats taking over the House of Representatives from the Republicans, the Republicans increasing their lead in the Senate, and Republican governors being elected in Florida and Georgia, among other things…or did it? 1) 1.8 million deceased individuals listed as voters; 2) 24 million voter registrations no longer valid or significantly inaccurate (see February 2012 Pew Center Issue Brief); 3) in many U.S. counties there are more registered voters than there are residents (see Judicial Watch’s “A Citizen’s Guide to Ensuring Free and Fair Elections in 2016 and Beyond”); 4) most Democrat politicians push to eliminate all voter identification to vote…guess why; 5) a California law that allows non-citizens to have driver licenses and then the California Motor Voter law automatically registers them to vote when they receive or renew their driver license; 6) voters in Philadelphia being intimidated by New Black Panther party members who were not prosecuted by the U.S. Justice Department (see J. Christian Adams’ book, Injustice); 7) the U.S. Presidency being stolen in 1960 by Joseph Kennedy, President Kennedy’s father! 8) men and women in the military routinely being sent ballots so late that it’s impossible for their votes to be counted in time; 9) absentee voting becoming the voter fraud of choice because it doesn’t require voter ID; 10) countless other elections at the Federal, State and local levels being stolen; 11) 2.7 million voters fraudulently registered in two states, 68,000 voters fraudulently registered in 3 states; 12) Pennsylvania currently has no requirements for voter identification (see February 2012 Pew Center issue brief; see John Fund’s books: Who’s Counting? : How Fraudsters and Bureaucrats Put Your Vote at Risk; and Stealing Elections: How Voter Fraud Threatens Our Democracy); 13) Harvard (CCES) study shows 6.4% illegals voted in presidential elections and 2.2% in off-years; 14) following the 2008 U.S. Senatorial election for Minnesota, boxes of ballots miraculously were found in trunks of cars again and again until Al Franken won over his opponent, Norm Coleman, who had won. ANALYSIS: Who’s responsible for this National disgrace and travesty? The governments at the Federal, State and local levels are the culprits! It’s not due to incompetence but to dirty/criminal politics and it’s long overdue to be corrected before Americans lose all faith in the integrity of their elections. Even in the Iraqi elections a decade and a half ago, voting was much more honest than in the United States. How can that be? Iraq had a very simple but effective system which was devised by the U.S. military: when Iraqis voted they had to dip their index finger into a jar of indelible purple ink…and this was solid evidence that they had voted. In the United States, on the other hand, registration proving that you’re eligible to vote is required first. What evidence is required to register to vote? In Colorado, a utility bill with your name on it was sufficient. Of course this is ridiculous because you don’t have to be a citizen in order to receive a utility bill…and in addition, if you have more than one home in different counties, you’ll have separate utility bills for each home (you get to vote twice if you’re dishonest). Many politicians say that they don’t want to place an undue burden on their citizens by actually requiring that they show a photo ID, such as a drivers license (which is even required of people of questionable age to buy a pack of cigarettes). What a crock! Does any adult really believe that lax registration standards have any purpose other than facilitating fraudulent voting? It is important in a democracy for people to have faith in the process by which their leaders are elected, so care must be taken that it’s done honestly and that politicians are kept far away from the process. Voter fraud is not new, but dates back to the beginning of our Republic (see Andrew Gumbel’s book, Steal This Vote). In the recent 2018 mid-term election vote discrepancies in Broward County, Florida, it appears that the culprit was a corrupt County election supervisor, Brenda Snipes. THE SOLUTION: All election officials must follow their State’s election laws or be penalized. A photo ID, either in the form of a driver’s license or a State-issued photo ID should be mandatory in every state in order to vote. Later, perhaps also a slight revision and an addition could be made to the on-line E-Verify system created by the U.S. Citizenship and Immigration Services in concert with the Social Security Administration that is currently used by employers to ascertain whether someone is in the U.S. legally. A “Voter Photo Authentication” may be in order given the amount of massive voter fraud in the U.S. Something also must be done to prevent criminal politicians from continuing to corrupt our elections. It’s government’s fault that it got this way and it’s government’s responsibility to clean it up. 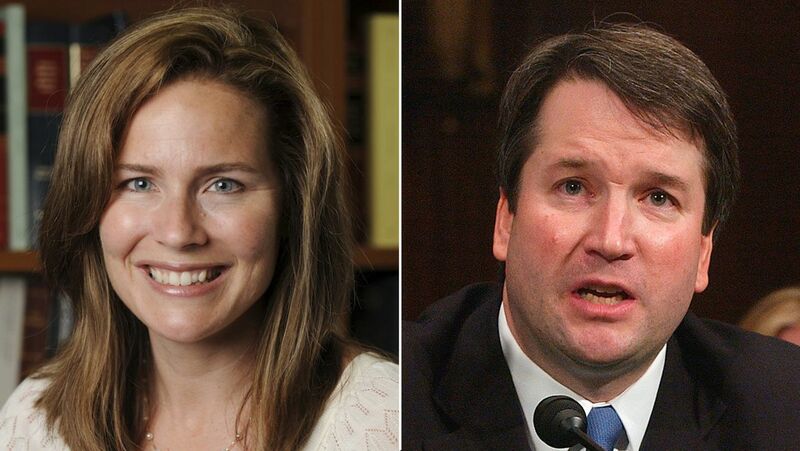 Justices Amy Coney Barrett, Brett Kavanaugh, Thomas Hardiman, and Raymond Kethledge were the four finalists that President Trump considered for the Supreme Court (although I didn’t rule out justice Amul Thapar or Utah Senator Mike Lee). All four have their positive attributes and were on the list from the Federalist Society and the Heritage Foundation as “originalists”, those legal scholars that interpret the Constitution with the same meaning at the time it was written. This is very different from “activists”, whom consider the Constitution as a living document whose interpretation changes to meet changing times. Originalists believe that either legislation should be passed when changes are needed or the Constitution amended, not the interpretation of the Constitution changed with the times. Democrat leadership is attempting to portray President Trump selection, Justice Brett Kavanaugh, as being anti Roe v. Wade, the Supreme Court decision that currently allows abortions. The fact that an “originalist”was selected should actually make the Left feel better because originalists are committed to not interpreting the Constitution to mean what they want it to mean, but what the founders meant when they wrote it. Moreover, Chief Justice John Roberts will not vote to overturn Roe v Wade, so the liberals on the Court would still have a majority on this issue even if Justice Kavanaugh is confirmed by the Senate. 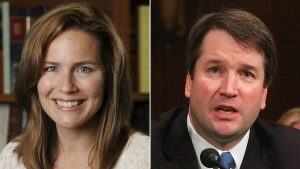 I believe Hardiman, Kavanaugh and Kethledge to be the most qualified but I believe that the Court could really use a conservative female justice like Barrett. President Trump has chosen Kavanaugh, 53, from the four finalists because of his twelve years of experience on the District of Columbia Circuit Court of Appeals, writing 300 opinions on many different issues. In addition, his academic credentials are stellar, with a law degree from Yale and teaching at Harvard, Georgetown, and Notre Dame. Moreover, very liberal Justice, Elena Kagan, recommended Kavanaugh to be hired by Harvard to teach law. On November 8, 2016 Americans made a decision that was one of the most important in the history of the United States: voting for Donald Trump to be the President of the United States. Many believe that politics is stupid because of all of the partisan bickering that goes on. That may or may not be true, but it’s irrelevant…our President makes decisions that affect not only us, but our children, grandchildren, and many others around the world. Based on the controversy of this Presidential election, I created the following non-partisan criteria for selecting a President. I came up with them after looking at everyone else’s and concluding that they were inadequate. My qualifications for doing this are: I followed politics for over 60 years, my Masters degree from the University of Pennsylvania is in Government Administration, and I’ve worked for the Federal, State and local governments for 44 years. My 6 criteria for choosing a President are listed below and are prioritized and listed in the order of their importance, so #1 is the most important and #6 the least important. 1. POSITIONS ON ISSUES: this criterium might also be called “ideology” and is really the most important reason why one should select one presidential candidate over another. 2. EXPERIENCE: there is no job exactly like the presidency but there are some jobs that provide relevant experience. It’s not a coincidence that seventeen of our U.S. Presidents have been Governors of a State. Being a Governor provides the best experience for the presidency, however any executive or managerial experience is relevant and useful. Legislative and legal experience is also useful. 3. EDUCATION: A masters degree in either Business or Government Administration is probably the most relevant education a President could have. A law degree is helpful. 4. OPEN-MINDEDNESS: In U.S. politics, the politician is either on the left or the right and this ideology can be constraining at times for finding the best solutions to a problem or dilemma. 5. INTEGRITY: one of the important qualities but not so common in many politicians. This is important because the President may ask us to go to war or to make some other sacrifice, so we need to be able to trust him or her and not think that whatever is being done is for political purposes. 6. 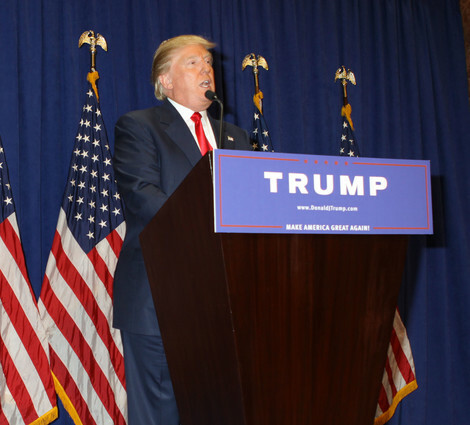 PUBLIC SPEAKING and CHARISMA: for his “bully pulpit” duties, a President would be well-served by being a master of the spoken word…and if he or she is charismatic as well, so much the better. You may agree or disagree with my 6 criteria or perhaps you simply may want to add a few more. Whatever…but it is important to have criteria (or standards) to use, otherwise you’ might do what many people do: vote solely by political party, vote because of something irrelevant like age, gender, physical appearance, ethnicity, race, or emotions. While most elections don’t matter that much, the 2016 Presidential election was one of the most important in U.S. history. 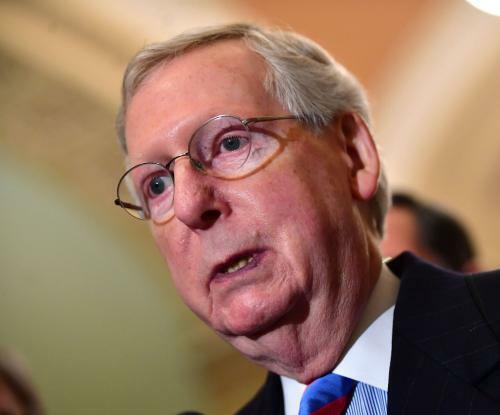 Whatever President Trump has promised during the presidential campaign, but does not accomplish, blame Senate Majority Leader, Republican Mitch McConnell from Kentucky. Although he is very experienced and knowledgable, having served as a senator since 1985 and having been the Senate Majority leader since 2015, the 76-year-old senator may prove deadly for Trump and the Republicans keeping the House and Senate in November 2018. It’s no surprise that Democrat senators oppose everything the President is trying to do. However, Senator McConnell has the authority, but refuses to use it, to facilitate passage of the President’s legislative agenda, because he can foster changes in the Senate’s archaic rules by abolishing the filibuster rule which require 60 senators to pass most legislation in the Senate. He can foster a change to be a 51-senator requirement to pass legislation and abolish the Senate’s legislative filibuster rule. So why would he not do this? He says that Republicans will eventually be in the minority again and does not want set the precedent to the Democrats for this Senate rule. Does McConnell have a good point? That’s what this article will consider. “Strike while the iron is hot” is one of my beliefs! The current situation with a Republican President, House and Senate may never occur again so the opportunity it provides needs to be used right now. Democrat leadership would not hesitate for a second to do it. So many wonderful things for the U.S. could be done now if the Senate vote threshold were only 51 votes instead of the current 60 votes needed to pass most legislation. All major legislation has been voted down by the Democrats in the Senate. Even when an independent-minded Democrat senator is voted in, Democrat leadership threatens him/her with not funding their upcoming races and also with running strong candidates against them in their primary elections. Thus, they toe the Democrat line. Let’s hope Senator McConnell sees the light and changes the Senate filibuster rule. If he doesn’t, he really should be blamed for the huge backlog in the Senate, as well as its inability to pass significant legislation, including legislation for the much-needed wall on our southern border. Bernie Sanders, Hillary Clinton, Elizabeth Warren, and many celebrities and academia advocate Socialism; the National Debt increased by $10 trillion (to $20 trillion) during President Obama’s 8 years; annual GDP growth under 2% for Obama’s entire reign; …ad infinitum. Is Capitalism to blame for America’s woes under President Obama or has President Trump proven that it’s the solution to our Nation’s economic problems? Capitalism is fueled by a motive to make profits and it does this by providing goods and services that consumers want and at a price that can beat competitors’ prices who also provide similar goods and services. This forces capitalists to constantly improve quality and undercut competitors’ prices. Socialism eliminates the profit motive and therefore satisfies some people’s altruistic side and also attempts to redistribute wealth from the “haves” to the “have-nots,” satisfying some people’s idea of fairness. Because in Socialism there is no continuous need to improve efficiency and effectiveness, there usually is significant waste and inefficiencies. Capitalists would argue that they earn their profits, attending college for many years and then working 70-80-hour workweeks… and it’s their taxed profits that enables government to have the money to help others. Capitalism creates wealth, which then is taxed and used to help the poor and needy. Socialism makes equality of outcome most important, consequently leading to everyone being equally poor with no large sums of funds available for government and charities to help those in need. Socialism takes away the incentive for people to work hard and excel to provide for themselves and their families. The top 10% of the wealthy pay 70% of all Federal taxes. The lowest 50% of taxpayers pay no Federal income taxes. Government is usually the culprit behind much fraud, unemployment and economic downturn and is responsible for our current economic woes. Loans to people unable to repay them was the precipitating event that caused the 2007-8 economic downturn. Quasi-government Fannie Mae and Freddie Mac forced banks, with threats of lawsuits, to make those bad loans. Therefore, to have the government fully control the economy is insanity. Government does not understand business, does not understand how jobs are created, does not comprehend how many of its regulations, especially “Obamacare,” are destroying the economy. The Dodd-Frank Bill, proposed by and named after two of the most significant initiators of the 2008 economic downturn (Congressman Barney Frank and Senator Chris Dodd), is truly absurd. For all of its harm to small banks and to the economy, it doesn’t even address the cause of the downturn, Fannie Mae and Freddie Mac. 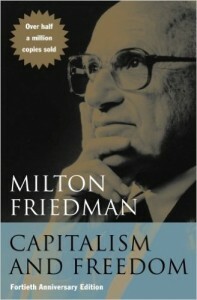 So, let’s answer our two basic questions, “Is Capitalism Ethical”, “Does Socialism Work?” Capitalism is a huge engine for job creation and wealth to the extent that the Pacific Rim countries have embraced it, as well as China (and they are all becoming wealthy fast)…and there’s nothing unethical about making a reasonable profit for providing goods or services. Socialism, on the other hand, can be forced to work, but at the cost of civil liberties, prosperity, unemployment, and political interference in all aspects of your life. Finally, how about some people becoming billionaires? Is it ethical for anyone becoming that wealthy? Huge wealth is certainly a possibility under Capitalism. However, very wealthy people pay most of the taxes and also give much of their wealth, after providing for their families, to charities, which use it more wisely than the government ever will. Finally, if you still have a problem with Capitalism, then call it “free enterprise” which means the same thing but is more descriptive and uncontroversial. And if you’re still unconvinced if socialism works or has ever worked, just check out what’s happening in Venzuela, and if you think Socialism is great, then continue to vote for Democrats and be prepared for the continued decline of the United States. On the other hand, keep an eye on the Trump economy to see what capitalism can do. How can President Trump and the Republican House and Senate pay for large tax cuts and a trillion dollars in infrastructure improvements that they are advocating and still eliminate Budget Deficits and eventually the National Debt? Few politicians explain this so I thought that a U. of Penn Wharton graduate (me), who should know this, would explain it. Many are concerned that the large proposed infrastructure spending and proposed tax cuts will force the U.S. further into debt. If you simply look at the economy as static, this would be true. However, the economy is dynamic, not static. Therefore, when you change some things, like reducing corporate taxes from the current 35% to President Trump’s 20%, as well as reducing taxes on the working and the middle classes, this stimulates businesses in many ways, bringing back U.S. business and investment money to America and stimulating new businesses and the growth of existing businesses. In addition, Trump will repeal the individual mandate contained in Obamacare, which is the penalty that Obamacare imposes on those who chose not to be covered under it, estimated at $358 billion. Finally, there is about $3 trillion in U.S. corporate funds residing in other countries, that with a one-time repatriation tax rate of 10%, will return to the United States and be invested here. All of this resulting economic activity will result in a huge increase in the Gross Domestic Product (GDP), which is a measure of the size of the U.S. economy. The taxes from this huge growth in economic activity, though the tax rates are reduced, will result in tax revenues being vastly increased. President Ronald Reagan did this in the 80’s, as well as reduce regulations, and GDP consequently almost doubled in size within 10 years from the time that Reagan’s tax rate cuts went into effect (1983). President Kennedy also did this in the 60’s. GDP growth is extremely important because, with 4% annual GDP growth, the United States can afford to do what needs to be done without having annual budget deficits, that at the end of each fiscal year, are added to the total national debt. If some form of the Trump/GOP tax cuts become law, the United States economy (as measured by Gross Domestic Product, GDP) will more than double in 10 years. WILL PRESIDENT TRUMP CREATE JOBS & GROW THE ECONOMY? After most recessions, Gross Domestic Product (GDP) growth comes back with a strong minimum 5% increase/year. But not the recession of 2008-09…annual growth averaged under 2% for the eight years that Barrack Obama was President and the Civilian Labor Force Participation Rate diminished to 62.8%, the lowest it had been since 1978. Moreover, although the official unemployment rate was under 5%, it would have been about 12% if it were measured the way it was back in the year 2000, and over 20% if it were measured the way it was during the Great Depression in the 30’s. So what happened under President Obama? Why not the usual strong growth? Business had a few trillion dollars that it held onto oversees, so why didn’t it spend its money to expand its operations and create millions of jobs in the U.S.? There’s a lot of reasons why business was cautious in expansion…and we need to understand what the problem was in order to continue to turn around today’s economy and foster substantial job growth (and the increased tax revenues that come with job growth). Of course, the Affordable Care Act (“Obamacare”) is filled with disincentives to job growth, especially full-time jobs, so it was partially responsible. The large number of regulations and tax increases under President Obama also added additional burdens on job creators and that’s another major cause. But who am I to be pontificating on jobs and the economy? Well, I do have a masters degree in Government Administration from the University of Pennsylvania. And my degree is from the Wharton School in the U. of P., which is known for its econometric models of the economy. To be clear, however, my education was in government, not economics, though I did need to have economics and accounting courses as well as a statistics course in order to graduate from Wharton with my MGA long ago. I also worked for the Federal government for over40 years in various capacities, and have also worked for the state of Pennsylvania and the city of Philadelphia. Let’s put aside education and experience qualifications because, from my observations, ideology trumps education. I’ve seen PhD’s advocate really stupid positions, even in light of contradictory evidence. So I tend to look at the real world, what actually happens when a particular economic policy is followed and practiced. 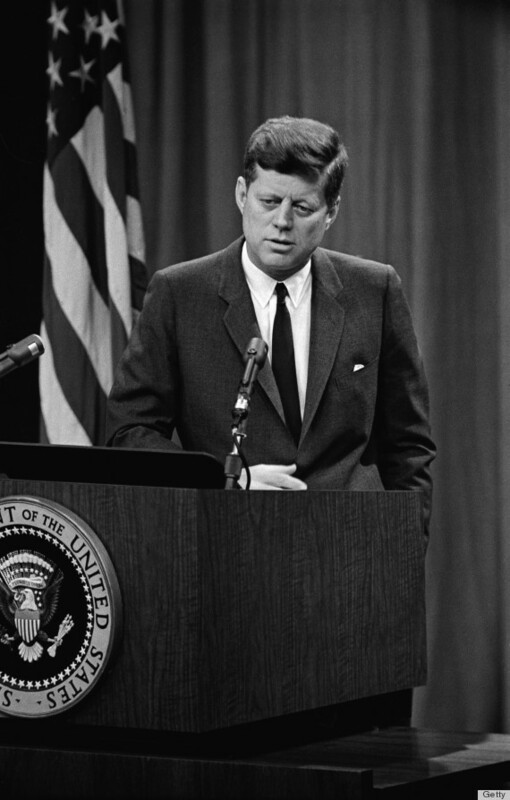 I’ll start with the policies used by President John F. Kennedy in the early 1960s. 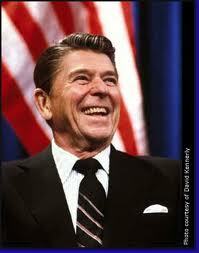 When confronted with a recession, he cut tax rates which led to increased economic growth and recovery. In addition, when President Ronald Reagan inherited the worst recession since the Great Depression from President Jimmy Carter in 1980 (unemployment over 10%, inflation 13.5%, mortgage interest rates up to 20%), President Reagan cut tax rates to the extent that GDP almost doubled in ten years and tax revenues to the Federal government greatly increased in the 10 years following the tax rate cuts. President George W. Bush had a similar experience with tax rate cuts, revenues to the Federal government significantly increased. Let’s look at what actually happened when the opposite approach was used: it is estimated that President Franklin D. Roosevelt doubled the duration of the Great Depression in the 1930’s by using the John Keynes economic model of increasing government deficit spending, and the US still did not even get out of the Great Depression until World War II. Moreover, when Japan’s economy went bust in the 90’s, it spent trillions over a 20-year period trying to stimulate its economy. The huge deficit spending did nothing except give Japan a huge debt. Which brings us up to to when President Barrack Obama spent almost a trillion dollars in his “stimulus” package in a effort to turn around the economy…and he also devalued the dollar by having The Federal Reserve Bank print trillions of dollars with no backing through it’s so-called Quantitative Easing 1, 2, and 3. He also tried other short-term Federal spending programs such as his “cash for clunkers” and engaged in huge annual deficit spending, the extent of which had never been seen before. His economic policies, based on the discredited theories of economist, John Maynard Keynes, have actually have made the economy worse by piling up huge government debt (over $20 trillion in total national debt which is greater than the annual GDP of the US), with very little to show for it, and whose interest payments will be unsustainable when interest rates increase. Let’s look at other factors significantly adversely affecting the economy, such as oppressive government regulations. One of the reasons for President Bill Clinton’s economic success in the 1990s was his significantly cutting back many Federal Regulations (as well as the reduction in government employment through attrition) as part of his “National Performance Review” initiative. President Obama’s policy, on the other hand, on preventing drilling for oil in the Gulf of Mexico, has resulted in 240,000 barrels/day less oil from the Gulf, which would have led to large increases in gasoline prices were it not for oil companies engaging in horizontal drilling and fracking on private and State lands. Another example of over-regulation is the Dodd-Frank bill, the stated purpose of which was to prevent future financial meltdowns…but it did not even deal with the cause of the meltdown, Fannie Mae and Freddie Mac, who threatened and coerced banks into making housing loans to people who could not afford to repay them. Dodd-Frank also had adverse impacts on small banks and dried up loan money for small businesses that would have otherwise been available to them to expand. Then there’s Obamacare which has been estimated to actually cost the government up to 3 trillion dollars in the first 10 years, as well as lead to very expensive, rationed and inferior health care. Then, of course, there’s EPA’s over-regulations, such as the one on carbon dioxide, which as we know, is an inert gas, the chief purpose of which is food for plant life, plants which turn carbon dioxide into oxygen. Moreover, let’s not forget how hundreds of thousands of farm hands were suddenly unemployed when the US Department of the Interior shut off the water to California’s Central Valley in an effort to protect the Delta Smelt (a small fish) that was on the Endangered Species list. All of these things have severely hurt jobs. Finally, President Obama extending unemployment benefits to 99 weeks actually increased unemployment because studies show that, on average, unemployment benefit recipients don’t even begin looking for work until 4 weeks prior to the end of their benefits. IS CUTTING TAX RATES FAIR? So is it fair to cut tax rates even though we know that the result would be to increase tax revenues? The nation would then have more money to help the poor, not less, so why not do it? I can understand the “equality” argument but is it really a good thing if everyone were equally poor as they are in many countries? “So what” if there are some super-wealthy people…we know that in the United States they will eventually give most of their money to charity anyway and do it much more wisely than the Federal government! Winston Churchill said that capitalism is a bad form of government except that it’s better than all other forms of government. Cutting tax rates and regulations have always worked in the past and would stimulate the economy and thereby create many jobs. Political ideology is the only thing preventing our government from following these time-tested strategies. Presidents Kennedy, Reagan and Bush all increased tax revenues by cutting tax rates for everyone. Today, the bottom 50% of earners pay almost no Federal income taxes…the upper 10 %, on the other hand, pay over 70% of all Federal income taxes. If you believe that’s not enough, how much is enough? The U.S. corporate tax rate is currently 35%, the highest in the world, and consequently has led to many businesses moving their operations and jobs to other countries and has caused the United States to lose many jobs. It’s estimated that there are at least 3 trillion dollars off-shore that we could entice back to the US if we offered a temporary ten percent corporate tax rate for the first few years and a contract stating that the corporation would remain in the US for at least another 5 years. The US needs to put ideology aside and focus on solving the nation’s economic problems. Although President Obama appeared very friendly, his policies have really hurt the United States, so it’s time for newly-elected President Trump to: 1)cut tax rates on the working and middle classes, as well as on businesses; 2)rein in the Environmental Protection Agency from over-regulation; 3)eliminate job and small business-killing regulations; 4)cut corporate income taxes from their current 35% (the highest in the world) to 20% to lure back the large number of businesses that moved overseas to escape the U.S. confiscatory taxes; and 5)repeal and replace the Affordable Care Act (“Obamacare”) since it has significantly hampered business expansion. President Donald Trump has done or will do these things and by so doing will grow the economy and create jobs and consequently significantly reduce the U.S.’ annual budget deficits. The U.S. Senate, however, due to its slim Republican majority and arcane rules, may not be able to approve the bills necessary to implement the necessary changes. If this happens, many Senators will lose their jobs in 2018. However, even without major tax cuts, President Trump, through Executive Orders and deals with many countries and corporations, has increased GDP to over 3% growth for the last two budget quarters. With two exceptions, the presidential polls in the 2016 election were completely wrong. If you knew those two exceptions in advance, you could have predicted the outcome of the election. I did and therefore was 75% certain that Donald J. Trump would become our next President. It was really simple: I looked at the polls that accurately predicted the 2012 presidential election. There were only two, one of which polled daily, the Rasmussen daily presidential tracking poll. a) The design of a poll can easily create any outcome the pollster wants. For example, the pollster determines what percentage of Democrats, Republicans, and Independents s/he polls. These percentage largely determine the results of a poll. b) Whether the poll is of: a) all adults, b) registered voters, or c) likely voters, is the next most important factor in determining the results of a poll. Only half of all adults vote, 80% of registered voters, and over 90% of likely voters. The most accurate poll of the President is the Rasmussen daily presidential tracking poll which polls likely voters. It currently has President Trump at 46% approval and 54% disapproval. c) The way in which poll questions are worded can significantly influence the results of the poll. For example, a question can be worded: 1) do approve of the the President? OR 2) do you approve of the President’s job performance? OR 3) do you like the President? OR 4) etc., etc., etc. Often poll questions are ambiguous and therefor the results can’t be trusted. d) How many people you poll is very important in order to get a representative sample. Nothing under a 1000-person-poll is very reliable. e) How you select the people to be polled is very important. For example, only selecting people from the inner city would result in an overwhelming number of people favoring a Democrat. It would not be a representative sample, however. Same is true for a poll conducted of New Yorkers only. 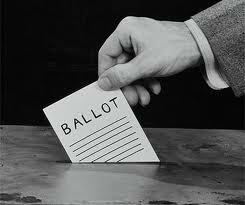 f) Who is sponsoring the poll is extremely important. A poll funded by the New York Times, Washington Post, or CNN will not depict a Republican President favorably because those newspapers and TV station have a partisan agenda and are therefore unreliable. I’ve attempted to show how polls can be manipulated to persude public opinion rather that guage public opinion. I believe that most political polls are seriously flawed and therefore I don’t believe them to be reliable. Past performance is the best way to judge a poll. For example, the Rasmussen Daily Presidential Tracking Poll I believe to be the best of all of the Presidential polls, based on its past performance in both the 2012 and 2016 presidential elections. Looking at past performance, therefore, is the quickest and easiest way to determine how accurate or misleading a poll might be. A. OBAMACARE/AFFORDABLE CARE ACT: This law is a wet blanket on the economy. While I’m for good healthcare, and for insuring people with pre-existing conditions as well as kids up to the age of 26 years-of-age on their parents insurance, Obamacare is a bureaucratic nightmare with much more expensive premiums for most people, and unbelievably-high deductibles and co-pays. This turns most Obamacare policies into catastrophic care only because most people will never meet their deductibles and will therefore be paying out-of-pocket for most of their healthcare. This turkey needs to go and hopefully will be replaced with something created by a combination of Senators and Representatives from both major political parties. B. IMPEDING ENERGY PRODUCTION: A decision on the Keystone pipeline was made for political reasons. Oil production on government land was significantly down, however, basically because the environmental lobby was against all fossil fuels. Meanwhile, America has more gas, oil, coal, and shale oil than all of the countries in the Middle East combined but government regulations prevent most of it from being developed. The wealth created by all of this energy could pay off the National debt, the trillions in unfunded liabilities, and produce an economic boom the likes of which no country has ever seen. And as thoroughly, scientifically, and irrefutably proven in David Archibald’s, Twilight of Abundance, the warming trend of the earth over the last century, up until 18 years ago when it stopped, is due mostly to Sun Spots and Solar Flares, not to the burning of fossil fuels. C. DEFICITS/NATIONAL DEBT: President Obama doubled the National Debt (from $9 trillion to $20). The Federal government is still borrowing billions/month from the Federal Reserve so the annual budget deficit is currently over 1/2 trillion dollars/year. Each year the Annual Budget Deficit is added to the total National debt and currently the National debt is about $20 trillion. This amount of deficit spending and National Debt is unsustainable. The Federal Reserve has the authority to print money and by doing so has been able to get away with this huge deficit spending, but doing so without the backing of gold and/or legitimate loans from other countries, simply inflates our currency. The U.S. dollar is currently the world’s “reserve currency,” but our borrowing and spending may eventually change that. When it occurs, the dollar will immediately decrease in value by about 30%, our credit rating dramatically reduced and interest rates on our borrowing dramatically increased, and our ability to borrow severely curtailed. D. REGULATIONS: Regulations are necessary in our society but government needs to be very careful in not over-regulating since this can and does add significant costs to the economy, negatively impacts business creation, and reduces freedoms. The regulations written pursuant to Dodd-Frank, the Endangered Species Act (ESA), and the Affordable Care Act (“Obamacare”), among many others, are excessively burdensome to people and the economy. ESA, for example, has caused the destruction of most crops in California’s Central Valley due to the Delta Smelt, a small fish on the Endangered Species list. Dodd-Frank is a financial nightmare that does nothing to prevent future bank problems. Obamacare has and is destroying jobs. 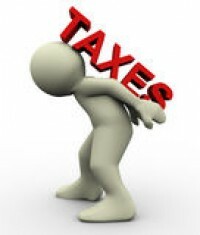 E. HIGH TAXES: Money taken from the economy in taxes should be limited because it hurts the economy. Tax money should be used only for legitimate purposes. Higher taxes is a drag and drain on the economy so government needs to be careful to spend it wisely. Lowering tax rates on everyone who pays taxes in order to stimulate the economy is the preferred way of increasing tax revenues and growing the economy to pay for Social Security, Medicare, Medicaid, unemployment benefits, etc. F. CORPORATE TAXES: A significant Obama policy that has unintentionally done harm to many people is the retention of the 35% corporate tax, which is higher than any other country in the world. This has led to the flight of many U.S. corporations and businesses to other countries, and with this flight, the jobs and taxes that go with them. They need to be reduced to 15-20%. G. PROLONGED UNEMPLOYMENT BENEFITS: Extension of the duration of unemployment benefits for more than 12 months is very harmful to the unemployed as evidenced by studies showing the unemployed usually do not even look for jobs until a few weeks prior to their unemployment benefits expiring. At one point, Obama, in conjunction with a Democrat Congress, extended unemployment benefits to 24 months. “Compassion” was the stated reason, but getting the unemployed off of of the official unemployment roles so that the official unemployment rate would be lowered is the real reaon. H., I., J.,K., L., M., N., etc. In closing, most Americans were proud that the U.S. elected an African-American President 151 years after the Emancipation Proclamation freed American slaves, even if they personally did not vote for him. The United States inherited slavery from England when it took over the country in 1776 but had to temporarily retain slavery in order to form the Union to include Southern States (the “Great Compromise”). At the first opportunity, the U.S. rid itself of slavery (in 1863). The first African-American President unfortunately had no experience in managing anything or in guiding an economy and therefore the U.S. consequently is badly hurting economically. While I believe President Obama meant well, he also still believed that failed liberal/”progressive” economic policies (“Keynesian economics”) were the way to stimulate the economy and therefore turned a blind eye to workable economic policies. 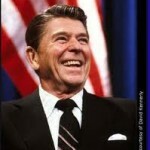 President Reagan demonstrated how to get an economy working and the proof is the fact that the Gross Domestic Product (which measures the size of the economy) of the United States almost doubled 1n the 10 years following Reagan’s implementation of his large reduction in tax rates (1983-1993) and curtailing Federal regulations. 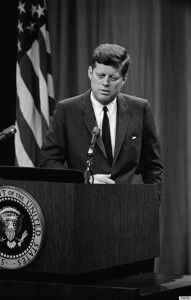 President Kennedy also stimulated the economy during a recession in the 60’s by cutting tax rates. I saw the movie, “Hillary’s America,” on Verizon and thought it was a “must see” film for anyone who voted for Mrs. Clinton or any Democrat, so I thought I’d write a brief preview which Democrat voters might find healing . The movie, now on DVD, was written, co-directed, and narrated by Dinesh D’Souza. While it was mostly accurate, I thought it went too far at times in assigning motives to the Clintons’ behavior. The movie begins with Dinesh being tried for the crime of giving too much money to a friend running for political office. He then goes to jail for this and subsequently learns there how criminals scam and defraud, and also that criminals believe the biggest crooks and thieves are politicians. From there the movie takes the audience on a historical journey starting with the first Democrat President, Andrew Jackson. President Jackson directed the creation of reservations for Native Americans and the round-up and removal of many of them to Oklahoma (the “Trail of Tears”). It talks about the creation of the Republican Party, dedicated to freedom for the slaves and liberty for everyone. It then addresses the fact that the Democrat Party strongly favored slavery and that every Klu Klus Klan member was a Democrat. Moreover, that it sponsored the Jim Crow laws that were designed to subjugate African-Americans and championed Blacks from owning guns so they could not defend themselves from the Klan. It talks about Democrat President Woodrow Wilson who was a racist and sexist and led to the re-emergence of the Klu Klux Klan. Then it discusses Margaret Sanger, who started Planned Parenthood as a means to suppress the African-American population. At some point it jumps to Hillary Clinton and displays her biography and association with Saul Alinsky, who she wrote her term paper on. It addresses Alinsky, who wrote the infamous book on deceiving voters called, Rules for Radicals. 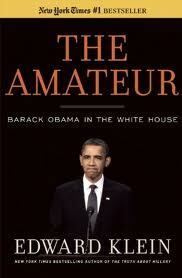 It mentions that president Obama taught the deceptive and unethical Alinsky tactics. It depicts the deception of Obamacare and Hillary’s role in silencing Bill’s sexual predations. Dinesh interviews Carol Swain, Professor at the Vanderbilt University Law School. Professor Swain (who is an African-American) is an expert in the history of race relations and civil rights and said that after the Civil War the purpose of the Democrat Party was to re-establish white supremacy. 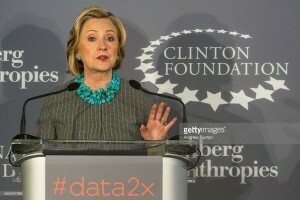 The movie shows how the Clintons worked Hillary’s position as Secretary of State to make a fortune for themselves as well as their front “charity”, the Clinton Foundation. The movie ends on a beautiful and positive note and should dry up any tears you might have for Secretary Clinton’s loss to Donald Trump. The Clinton and the Trump campaigns are close to an end after being hard-fought. Currently, Clinton is doing better in the media-run polls than Trump, though Trump is doing better than Hillary in the most accurate-in-the-past poll (Rasmussen), and his rallies are getting larger than his usual large crowds. Note that one of the recent WikiLeaks “John Podesto” emails told the media how to rig polls to make it appear that Hillary was trouncing Donald (this was done to achieve a “bandwagon effect”). Multi-billionaires, like Donald Trump, obviously don’t get to be wealthy by being stupid. However, Trump is prone to rhetorical excesses. He is the populist anti-establishment candidate, called by his son, Eric, a “blue-collar billionaire”. 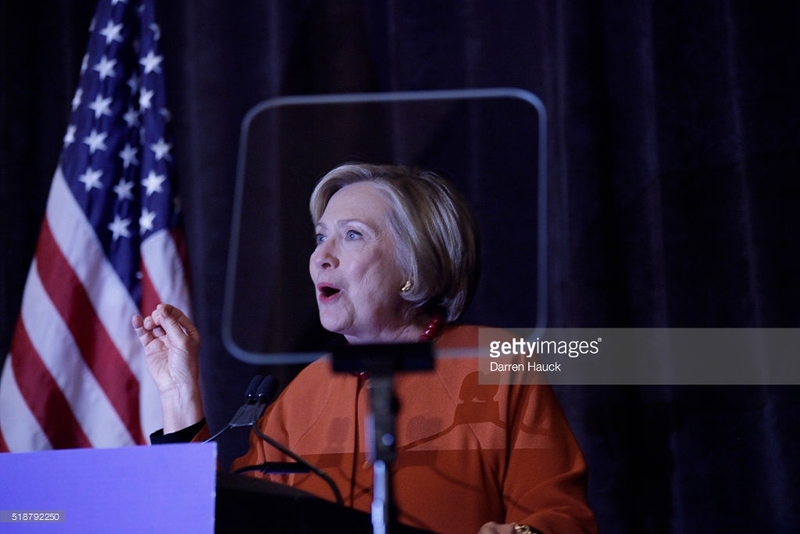 Hillary Clinton has an interesting hand because she was President Obama’s Secretary of State, however she has developed into a good debater and speaker. As the WikiLeaks “Podesto” emails have exposed, as well as many more credible sources, Hillary Clinton will do almost anything, no matter how corrupt or illegal, to win the election and become President of the United States. 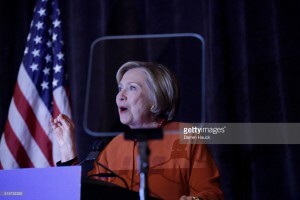 Moreover, the FBI has re-opened the investigation of her having classified information on her private computer server. On policy, Trump has the advantage because Obama’s policies have hurt medical care, foreign policy, the military, the economy, Israel, etc., and Hillary, as Obama’s Secretary of State, is closely allied with Obama’s policies. On the other hand, if you only watch NBC, ABC, or CBS, you have’nt heard about these negatives about Obama (so Obama’s shortcomings don’t really matter that much). There are many reasons for electing “your” candidate, but here is the strongest reason for supporting either Clinton or Trump. 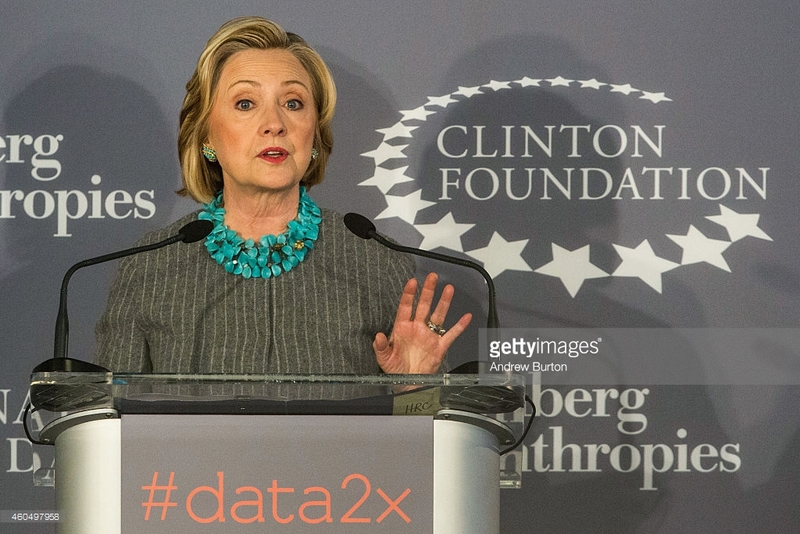 o for Clinton: if you like Obama’s presidency, you’ll like Hillary; however, you’ll have to overlook rampant corruption in a Clinton Administration (past performance is the best indicator of future behavior). Hillary Clinton should be better than Obama was as commander-and-chief of the military. o for Trump: he would appoint at least 3 conservative Supreme Court justices, his economic plan would double the size of the economy (Gross Domestic Product or GDP) within 10 years after his policies are put into effect (which is what happened under President Reagan), he would fix illegal immigration, and he would repeal and replace Obamacare. I’m a political junkie because much of my education and interests were about government and my jobs were with the Federal, a State and a city government, where elected political leaders were in charge. I know both sides of every issue and therefore know who is fabricating and twisting facts to support their policies. For the sake of everyone on the planet, I pray we make the right decision in selecting our next president.